Synopsis: A mother and her son are locked in a tiny room and are being held captive, and these four walls are all the boy knows of the outside world. Review: As human beings, we all know of the world we live in. The wonders and sometimes horrors of our world can inspire, they can amaze, and they can horrify in equal measure. We’re accustomed to our surroundings, and our homes. So imagine if the four walls of a small shed were all you knew of the world, and what you called home, and you had no idea of what exists beyond those walls. Well for young Jack (Jacob Tremblay) that is exactly what he thinks. His mother on the other hand knows that there is life beyond their solitary confinement but she hasn’t seen it in seven long years after being kidnapped. But she has her little boy, and that is keeping her going through all the years of captivity and hardship that she has endured. The screenplay, written by Emma Donoghue which is adapted from her book of the same name, is very heart-wrenching, and there are some uncomfortable moments in the early stages. There is a very obvious inspiration (if you can call it that) to the tale of one Josef Fritzl. Yet despite the hardship and somewhat lack of space that the two of them do have those rare moments of joy and happiness between them, and these are a joy to watch as the audience is almost constantly reminded of the bleak reality of their situation, this is until they make a plan to escape their captivity. Director Lenny Abrahamson does a tremendous job of putting the audience in the position of our characters, you feel as though you are in these awful surroundings with them, and through brilliant camera work, he is able to provide new views on the tiny surroundings, quite incredible considering that it’s a very small shed. The acting on show, particularly from our two main stars is tremendous. Brie Larson especially giving a career defining performance as the troubled mother. You really feel for her character and what she’s going through and it is heart breaking to watch her go through the torment of captivity. She has been picking up plenty of awards in this awards season and she stands every chance of adding the Academy Award to her collection. Young Jacob Tremblay is also fantastic in what is one of the best child performances in a long time. 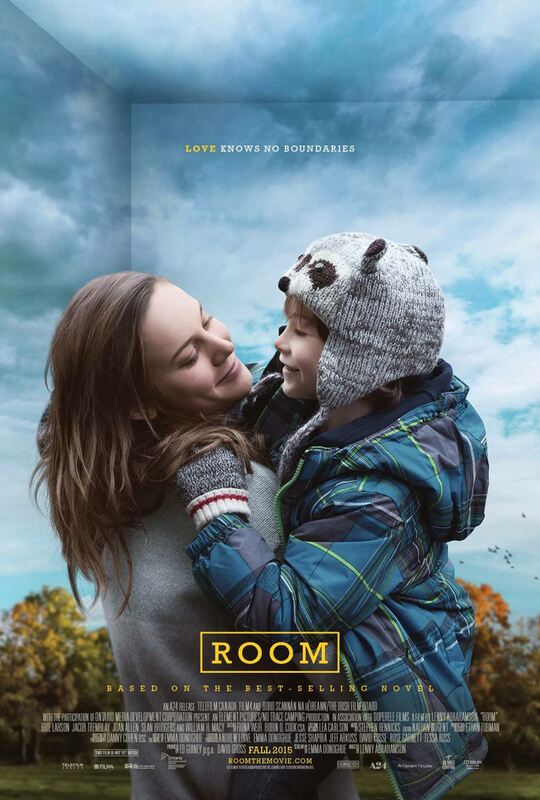 He’s convinced that “room” is all that exists in the world, that people on TV are not real, and his conviction is very real and tremendously powerful. Awards have come his way too, and like with his co-star, very well deserved ones at that. The story has some very dark moments that could make Room uncomfortable viewing for some, and while it is a very impactful script, there a few things that are left unanswered or unexplained, things that you would have thought that they would have touched upon in a bit more detail. Nevertheless, the film remains a moving story to watch, with some tremendous acting and directing, and proves just how powerful the love a mother has for her child, no matter the desperate or horrific circumstances of a situation, is truly unbreakable. Simply cannot wait to see this! Great review. Thanks very much Gareth! It’s definitely worth seeing!